Sachin Tendulkar’s glorious career came to a picture perfect end when he was awarded with the much deserving Bharat Ratna. The Master Blaster has to his credit an array of cricketing records which include amassing highest number of runs in both one day internationals and tests and also scoring the highest number of centuries in both the formats of the game. Besides Tendulkar, Southern Scientist CNR Rao was also awarded with India’s highest civilian honour. Prof. Rao currently serves as the Head of the Scientific Advisory Council to the Prime Minister. The octogenarian has to his credit over 1500 research papers and has been awarded numerous honorary doctorates by both national and international universities and institutes. However, the recently announced awards have generated quite a lot of controversy. Prof. Rao’s Bharat Ratna award was bound to be overshadowed had he not labelled politicians as “idiots” for not sanctioning enough funds for carrying out research. The media took this statement of his very seriously as it provided them with ready-made ammunition to question the credentials of the ace-scientist and add murk to the murky procedure of selecting awardees. 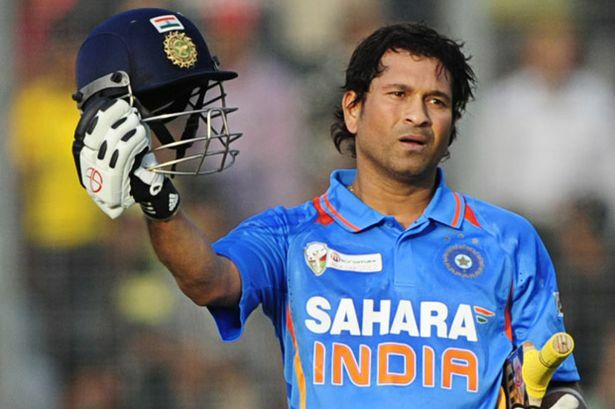 Let’s come back to the man of the moment, Sachin Ramesh Tendulkar. We all know that Sachin truly deserved the award but unfortunately, the award has come at the wrong time for him. Let me reiterate that the Bharat Ratna is bigger than every individual in this nation. Somehow, Bharat Ratna has been made to look miniature in front of Sachin as the timing of this announcement has been purposely made to coincide with the retirement of the man from Mumbai. It would be childish on our part to forget as to how the UPA Govt. is trying to save its skin and reputation by cashing in on celebrities. It was definitely an image-makeover exercise on the part of UPA when we saw Sachin alongside Rekha being sent to the Rajya Sabha. Similarly, we’re witnessing Sachin besides Rao getting the Bharat Ratna as a result of a hush-hush announcement made by the PMO. With due respect to Sachin, it is quite possible that the Congress led UPA is trying to boost its electoral prospects by means of Sachin. There are other questions which also need to be answered. We were told some time that the Sports Ministry favoured Dhyan Chand over Sachin Tendulkar. What really happened which catapulted Tendulkar over Chand in the race for Bharat Ratna? Ravi Shankar Prasad, BJP’s Deputy Leader of Opposition in the Rajya Sabha kick-started the debate as to why Former India Prime Minister AB Vajpayee has not been awarded the Bharat Ratna. He found support from unexpected quarters as Nitish Kumar, Farooq Abdullah and Pallam Raju echoed similar views. Union I&B Minister Manish Tewari responded by stating that Vajpayee cannot be a recipient of the award since he did not follow “Raj Dharma” during 2002 riots in Gujarat. While defending Tewari’s statement on Arnab Goswami’s The Newshour, part spokesman Sanjay Jha referred to the infamous “Babri ya barabari” statement of Vajpayee to say that he stands disqualified from being awarded the Bharat Ratna. Considering the personal indictment of AB Vajpayee by the Liberhan Commission set up to investigate into the Babri Masjid demolition, which by the way called Vajpayee a “pseudo moderate”, it would certainly be a highly controversial call to honour Vajpayee that too at a time when video recordings of him making provocative speeches on the eve of the Babri Masjid demolition have been published for all to view on the web. Besides supporting Vajpayee, Bihar Chief Minister Nitish Kumar pleaded the Government to bestow the honour on legendary socialist leader Ram Manohar Lohia. In the past, BSP Supremo Mayawati had said that her mentor Kanshi Ram deserves the highest honour of the land. PCI Chief and Retd. Justice Markandey Katju has also been asking the Government to honour Urdu Poet Ghalib with the Bharat Ratna. Personally, I don’t think it’s a wise step to give away the Bharat Ratna award “posthumously”. Not because the deceased souls are undeserving but because if we keep dwelling in the past, the living souls’ chance won’t ever come. We’ve had such great men emerging from Indian soil that we won’t get an opportunity to honour anyone except them. Right from Buddha, Mahavir Jain and Guru Nanak to Vikramaditya, Ashoka and Akbar, all would be in line to win the award. It would be chaotic if we went around handing out awards in this manner. The Bharat Ratna award should be above politics. It’s really a shame that the selection procedure for the same is so shrouded in secrecy that we can’t help but question the decisions made. The government should strive to make the procedure a bit more transparent by at least revealing the names of those who are considered for the award every time it is given and the reasons why the awardees have been chosen over the other contenders. Is India’s Foreign Policy Being Run On Sectarian Lines? It’s a known fact that India’s self-proclaimed challenge to Chinese supremacy in the region of South East Asia has little global relevance as our country stands strategically incapacitated in comparison to the Great Dragon. While China has been asserting itself forcefully in the international arena, India has failed to make its voice heard at any of the major annual diplomatic summits. 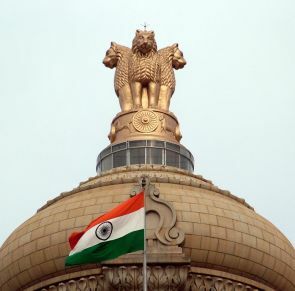 On one hand we see China facing off with the United States on a range of issues be it concerning Edward Snowden or currency manipulation and on the other, Indian timidity is best exhibited by the mute spectator-like stance which we take on the most significant of the global developments. We are at best in a state of diplomatic paralysis but somehow a very worrisome trend has emerged in terms of the diplomatic decisions which we have taken. This trend is of a continuous attempt towards framing a religio-centric foreign policy for India. There have been two or three major developments which clearly expose the manner in which political outfits cutting across party lines are trying to influence foreign policy on sectarian lines to make themselves appear favourable before their core-constituency of voters. In August 2012, BJP stalwart and current President of the saffron outfit, Rajnath Singh intervened in Lok Sabha and mentioned how Hindus and Sikhs were being harassed in Pakistan. He also referred to the infamous live conversion of a Hindu boy in Pakistan which was aired on national television. Samajwadi Party supremo Mulayam Singh too joined in the fray and talked about how the crisis was “not a religious but humanitarian issue”. It is true that Pakistan’s record in terms of minority protection is probably among the worst in the world. Wide-scale persecution of religious minorities like Hindus and Christians in Pakistan has coincided with intimidation of people on sectarian lines, the most prominent sufferers being Ahmadiyas and Shias. What is happening in Pakistan is indeed condemnable but why does the Indian Parliament only think about it when Pakistani Hindus are making the headlines in the mainstream Indian media? The Indian Government was the second after Turkey to send relief help to riot-hit Myanmar but was the Indian Government equally vocal about the atrocities on Rohingya Muslims in Myanmar than it was about the harassment of Hindus in Pakistan? This happened so despite the former generating global buzz and even making it to the cover page of Time Magazine. In December 2011, there was absolute pandemonium in the Indian Parliament when the news of banning the Gita reached Indian shores. There was a multi-party support against the madness which was going on in a Siberian court in Russia. This anger was totally justified but shouldn’t there have been a similar response when in 2010, Pastor Terry Jones was threatening to burn several copies of the Quran on the 10th anniversary of September 11 attacks? It is nothing but a case of complete hypocrisy when leaders in India keep talking about illegal immigration from Bangladesh and highlight how it poses a significant threat to the demographic pattern of the entire nation but these are the very same leaders who don’t mind pitching for providing Pakistani Hindus with extended visas. Aren’t we supposed to treat all illegal immigrants and those staying inside India illegitimately on the same lines? In fact, there are even cases of gross “Islamisation” of our foreign policy stand which were taken keeping into account the large Muslim population in India. Let us not forget that for more than four decades India abstained from maintaining active diplomatic relationship with the Jewish State of Israel. The principle reason behind this was the fact that the Muslim-majority Arab nations were not engaging with Israel and India did not want to anger India’s Muslims by siding with Israel at a time when its arch-rival Pakistan was also firm in its opposition to it. At the same time, Hindu Nationalist leaders were advocating a pro-Israel foreign policy stand from India’s side. The most prominent leader among them was Vinayak Damodar Savarkar himself who viewed Israel’s creation as “joyous” since its pattern of creation was similar to his concept of a Hindu Rashtra. The Partition of India was unfortunate but does that mean that we won’t engage with Pakistan? The same logic should have applied to Israel irrespective of the circumstances in which Palestine was partitioned. Decades have past and India is making the same mistake by pandering to the supposed “Tamil sentiments” which are best reflected not by the people of Tamil Nadu but by the established players in the southern state. Dialogues and discussions are integral to diffusing all disputes. Those who advocate disengagement can never be successful at diplomacy because continuous engagement is the bedrock of global relations. If we are at unease because of the manner in which Sri Lanka is treating its Tamil minority in the aftermath of a long and exhausting civil war then the best possible way of making our displeasure known is by communicating it to them directly instead of pretending to care about Tamil sentiments by boycotting diplomatic meets. The question is will India rise up to the occasion or has India’s foreign policy once again been punctured at the hands of sectarian forces which is evident from the fact that the Prime Minister won’t be personally attending the summit in Sri Lanka.